A relatively easy and inexpensive way to improve your smile is to whiten your teeth. In fact, you may even be able to do it yourself at home. Although there are differences between at-home and professional whitening, the former can still be effective. That effectiveness, though, might be dependent on how well you understand what home whitening can do and what it can’t. 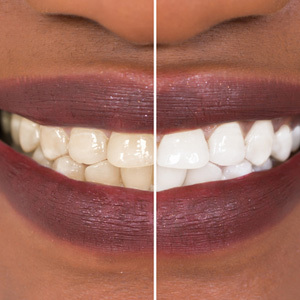 So before you purchase your kit, here are a few things to know about DIY teeth whitening. Home kits are safe—when used as directed. Although nothing in life is completely risk-free, home whitening kits are relatively safe. But only if you follow the directions: If you overuse the bleaching solution beyond its intended use, you could wind up with permanent damage to your tooth enamel that can be costly to treat. Bleaching solutions are relatively mild. Nearly all home kits use carbamide peroxide, a form of hydrogen peroxide, as their bleaching agent. Home kits usually contain no more than 10% of this agent, much lower than professional solutions. Used as directed, this amount of bleaching agent poses little to no risk to dental or general health. On the other hand, the weaker home kit solution does limit the extent of brightness you can achieve compared to stronger professional treatments. For top results (or certain conditions), consider professional whitening. While you can obtain good results with a home whitening kit, professional whitening provides more precise brightness control and range, and may possibly last longer. That’s because your dentist has more advanced techniques and equipment, as well as stronger bleaching solutions. And, if your discoloration originates inside your teeth, a home kit won’t help—only a dentist can address that kind of discoloration. Even if you decide to “go solo,” your dentist can still give you advice on what to look for in a home kit, as well as tips for the actual procedure. But whether you whiten at home or let your dentist do it, teeth whitening can take years off your smile and give you a more attractive look.